Laney Caswell is looking for a change. 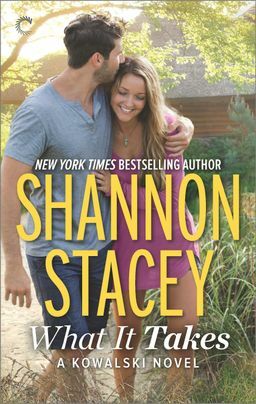 A decade's worth of less-than-happy matrimony behind her, she wants peacemovies, books and, best of all, a new job at the Northern Star Lodge in Whitford, Maine. Spending the summer living in a camper is her chance to rediscover what makes her happy, and a perfect transition to her new life. Being a paramedic in Whitford is nothing like Ben Rivers's city life, but when Josh Kowalski offers him the job, the lure of his hometown is too much to resist. Also too much to resist: Laney Caswell. Ben always thought he'd have a wife and kids, a happy family like the Kowalskis have all built, but he never made time in his life. Now he's found a woman who draws him like no other and helps him dream againand the last thing she wants is a husband. When the annual Kowalski family camping trip is moved to the Northern Star, both Ben and Laney are surrounded by the kind of happiness they've always wanted but never had. It just might be theirsif they can put aside the past and reach for it together.